Have you ever lost a night’s sleep in your van to incessant mosquito bites and buzzing? Or maybe you’ve been enjoying a lakeside evening by the fire only to have it ruined by pests? You’ve tried citronella candles, torches and sprays but nothing seems to get rid of them- we’ve all been there. 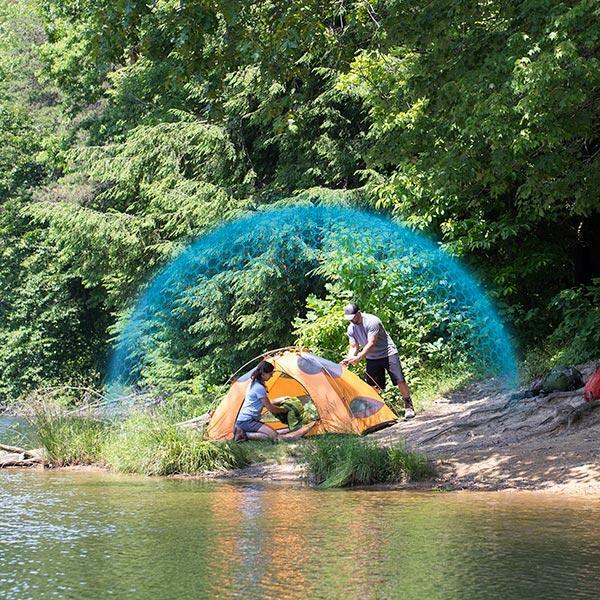 Well, this is exactly the thinking behind a new type of mosquito repellent unlike anything else on the market, the Thermacell Radius. 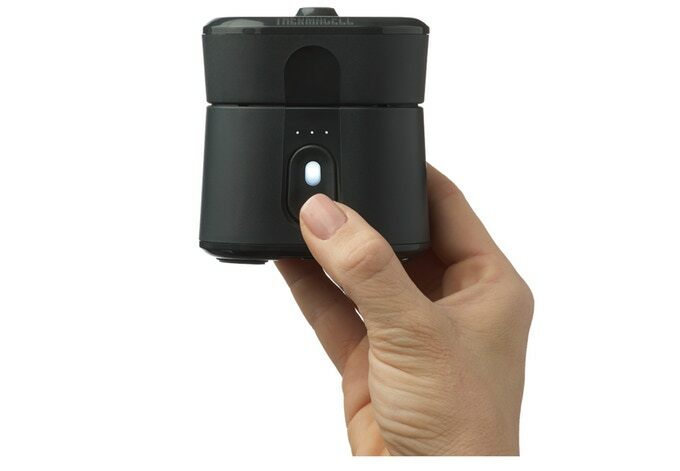 As the name implies, instead of being applied directly to the skin or clothes, it creates an area around the device into which mosquitoes will not enter. The Thermacell Radius creates a mosquito-free zone for you to relax in. 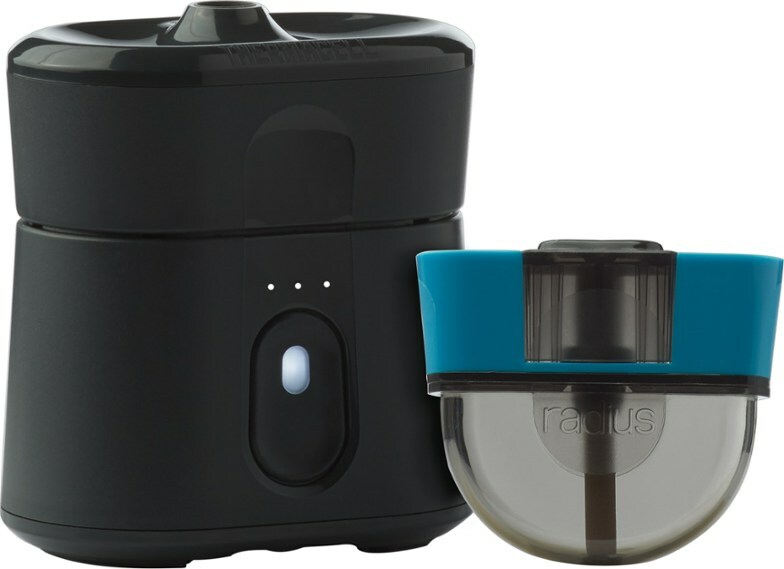 The Radius has been in development for over a decade now, its origins beginning as a series of butane-powered repellents. Thermacell knew that in order to expand their business, they would need to downsize the device, simplify it and make it portable to appeal to travel and outdoor enthusiasts. They pitched their idea to the public through a Kickstarter campaign which was highly successful, gaining backing from 1,275 individuals, allowing them to go into mass production. 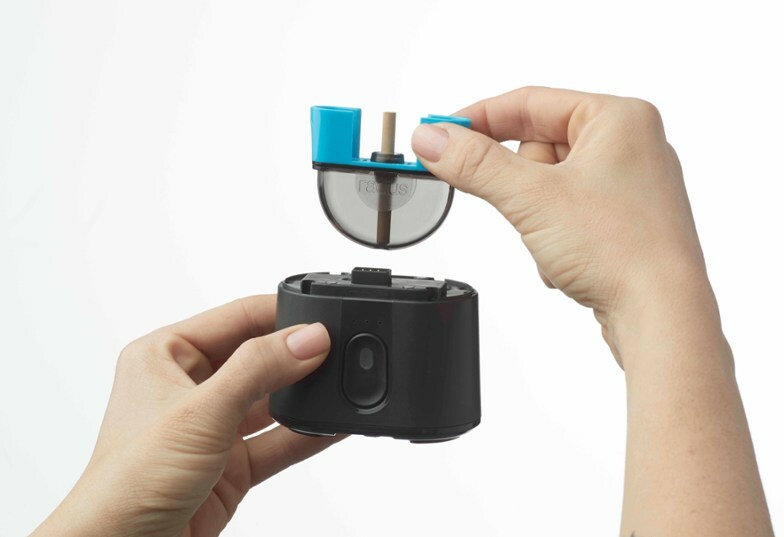 The result is the gadget we see today, a 3.35” tall pocket-sized device which is spill-proof and comes with a travel lock; ideal for hikers, but we all know the frustration of spillages on the move in a van, so it’s sure to appeal to van-dwellers too. The Thermacell Radius is a tiny handheld device that can easily fit in a pocket. The Thermacell Radius works by using heat to release an odorless repellent, creating a 110 sq. ft. zone around itself to protect anyone within from mosquitoes. It is powered by a lithium-ion battery, which charges an internal heating element that warms and activates the repellent within. Unlike typical DEET-based repellent methods, Thermacell uses an EPA-approved pyrethroid ingredient, which is found naturally in the chrysanthemum flower; this has been used historically dating as far back as ancient Egyptian times to combat invasive insects. A visual representation of the mosquito-free zone created by the Thermacell Radius. Activating the Radius is as simple as inserting a repellent cartridge, closing the cover and pushing the button to turn it on. The rechargeable lithium-ion battery will provide 6 hours of protection, but the cartridge itself will last up to 40. It can be used while recharging, and comes with an automatic shut-off timer in case you forget about it, as well as being water-resistant, durable, air-travel friendly and usable at even the highest of altitudes. Changing the repellent cartridge in the Thermacell Radius. Aside from being extremely useful to hikers and campers, the Thermacell Radius would surely be an asset to any camper van for use both indoors and out. Although its $49.99 price tag may be a lot more than just buying some candles or repellent spray, this is hands down more convenient to use, and will surely be the only form of mosquito repellent you’ll ever need in your life.